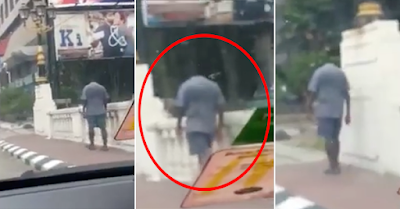 Shocking: A Video Of Headless Man Walking Along The Street! The sun was high that time, as a man was caught walking alone in some place with no head! This video below was strangely taken from a vehicle trying to follow the headless man slowly walking along the bridge. It is now trending in social media, video reached Facebook users, no comments have been posted, but only names who kept on sharing the video with their friends.